Pine is readily available, but needs to be treated to prevent early decay or damage from termites. Pine is one of the most plentiful wood supplies in the world and is commonly used in construction. Raw pine is vulnerable to insects, termites and decay when exposed to moisture, so it must be chemically treated for use outdoors. Left untreated, it will last around 12-18 months before it needs to be fully replaced. Treated pine can be coated using a number of different chemical methods which may affect the appearance of the wood and price of the lumber. Pine gives off a warm golden white glow when left neutral, and though it can be stained, it doesn’t take stain well. 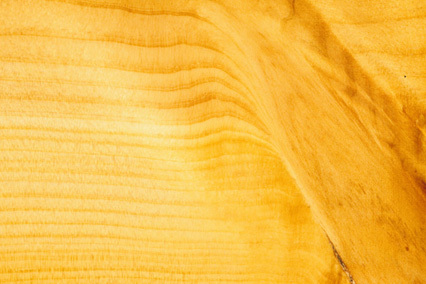 When buying pine boards, make sure to avoid any knotholes in the wood - something pine is especially susceptible to. These can cause issues with sealing the wood and plank stability in the long term. Pine is a softer wood, which can give a very different feel underfoot than a hardwood but this also leaves it vulnerable to denting. Plentiful, easily accessible and generally low cost. Warm golden colour, loosely grained with a lot of colour variation in each board. Often used in construction for framing and support structures. What is treated pine used for? Treated pine can be used as a decking material, though the choice of pine boards used for this purpose will affect the final colouration. Any exposed cuts on a treated pine decking plank will also have to be sealed, so this is best done prior to installation for ease of access. Pine can also be sunken into the ground to be used as support beams for both decks and pergolas, though again, any cuts need to be sealed off to keep them intact throughout the years. Infills and balustrades can also be constructed using treated pine. Low cost and plentiful, pine is commonly available at most large hardware stores. Planks of varying colour can look very inviting and appealing. Softer than most other woods, giving a slight cushioning feel underfoot. Vulnerable to weaknesses in knotholes and board imperfections. All sawn areas must be sealed properly to prevent rot and insect exposure. Easily dented and damaged boards mean more care and maintenance is required.